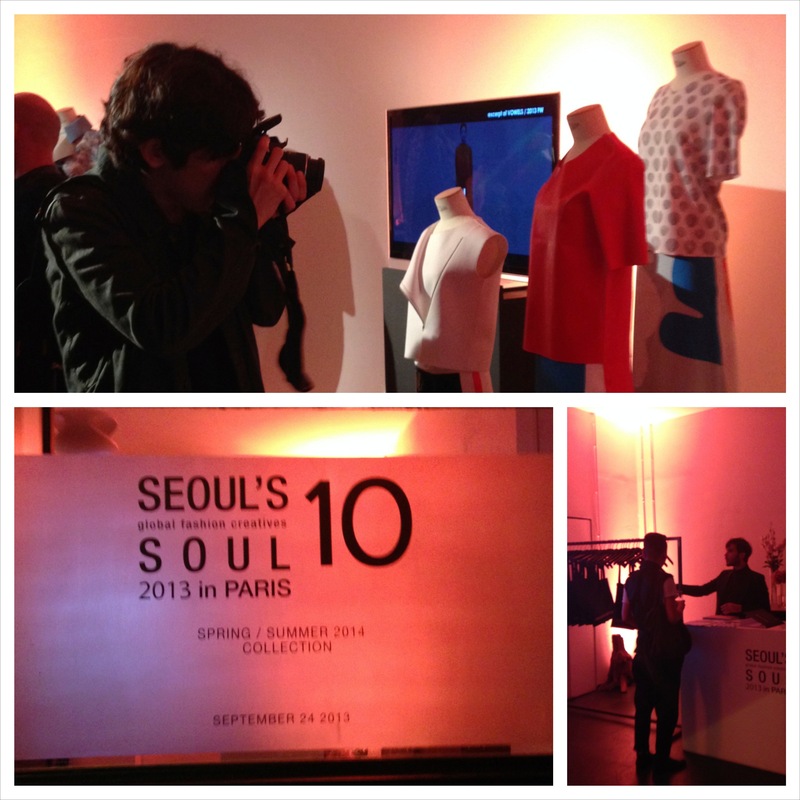 Paris Fashion Week has just started and I already have been busy working on an event to welcome the fashionistas of the world and introduce them to 5 Korean designers via the Seoul’s 10 Soul event. Seoul’s 10 Soul is a global project the awards 10 Korean designers (5 men and 5 women) the opportunity to get their designs noticed on an international level. Creative Door was lucky enough to host the event this year in their three story, industrial looking space in the Marais of Paris. The invitation was very modern and clean with black lines and text against a stark white background. The positioning of the text make the invitation easy to read and follow, the line in the middle separates the designers from the logistics, making this invitation one of my favorites to be a part of. 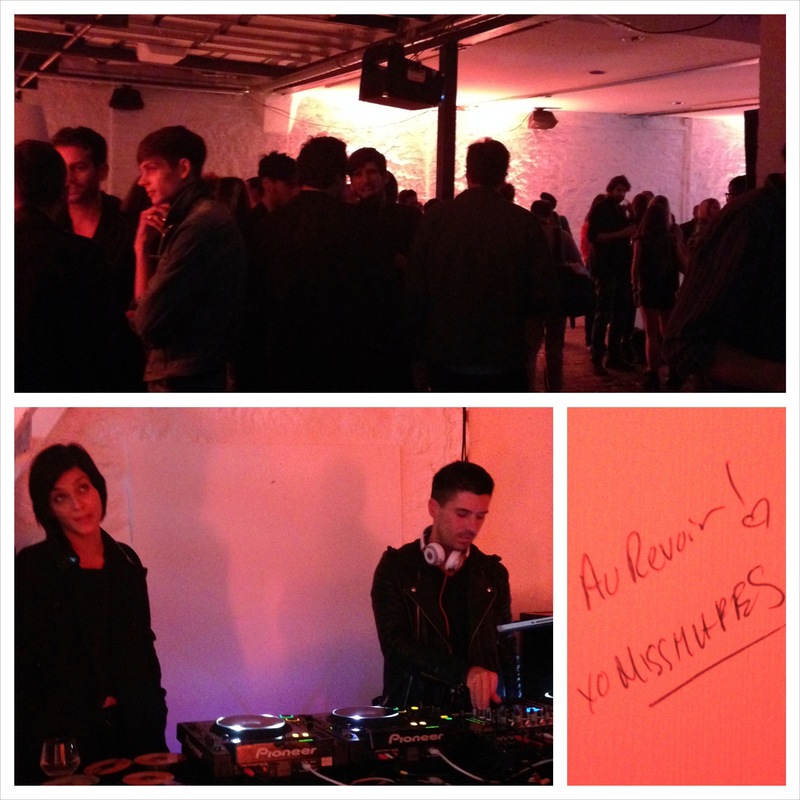 The event was a big party. Before you even got in, you were greeted with a hanging door banner that had the Seoul’s 10 Soul logo in white against a black background. 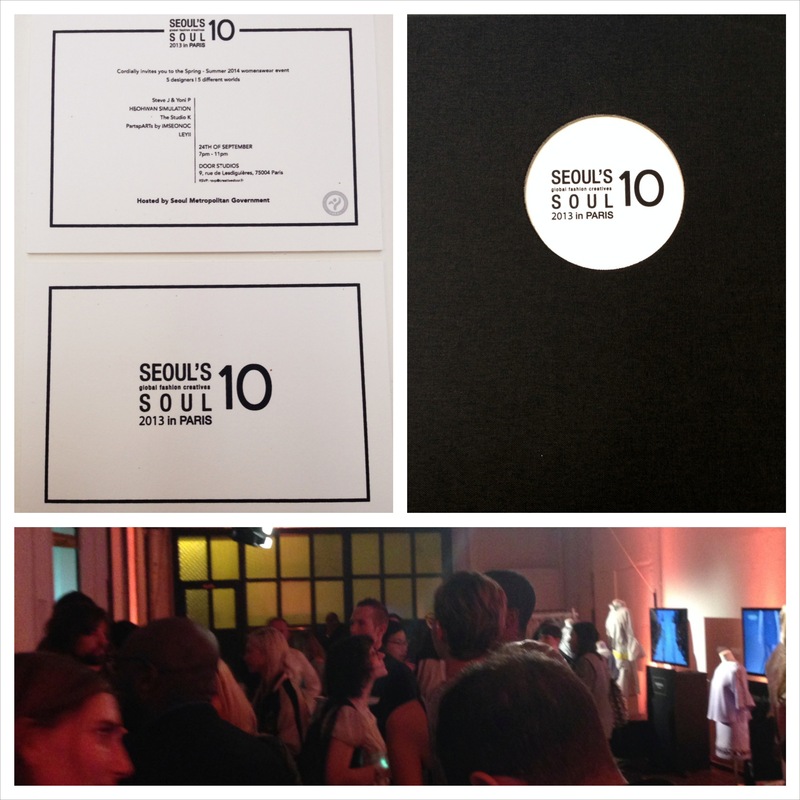 The windows of the studio were wrapped in a foggy translucent sticker with the Seoul’s 10 Soul logo in black lettering. As soon as you entered the building, there were more opportunities to get pictures of the logo. 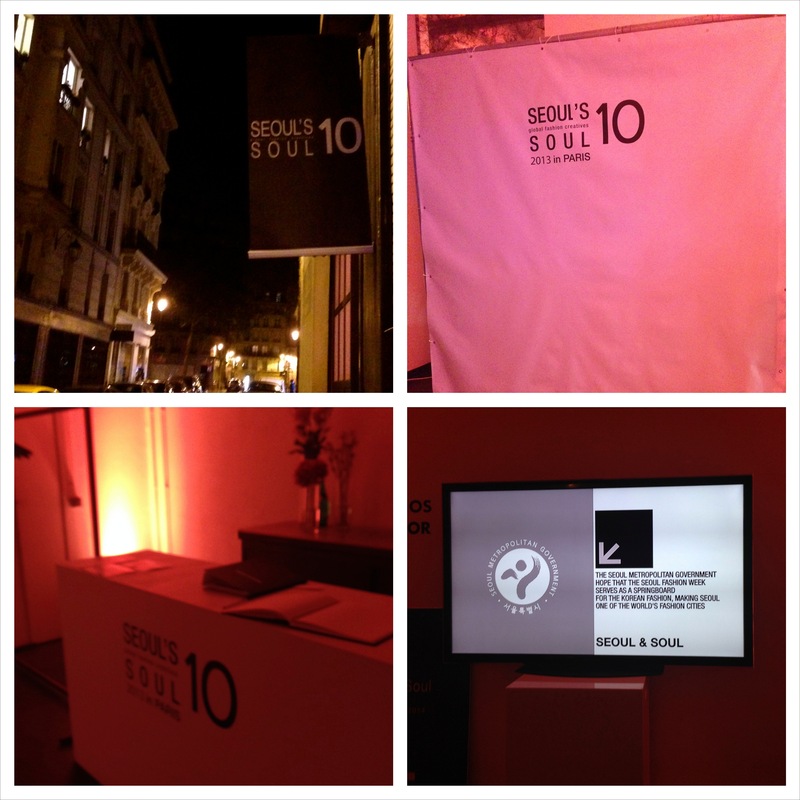 The check in desk, the photo op backdrop, the signage, and even the flat screens (one of 6) all displayed the logo. There was no way anyone did not know the party was for. 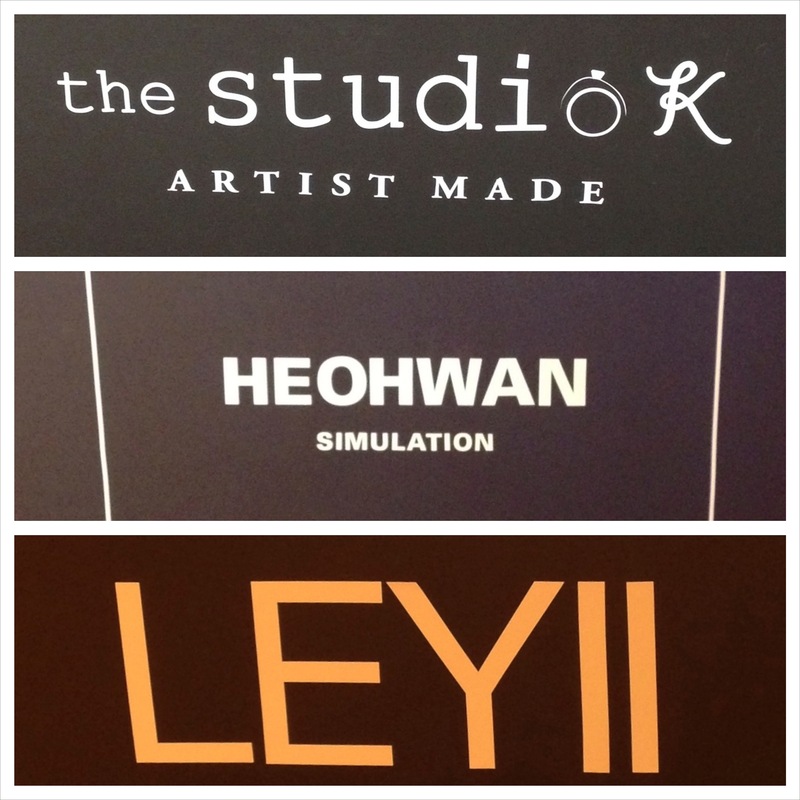 Speaking of who the party was for, the designers showcased at the event were Steve J & Yoni P, HEOHWAN SIMULATION, the studio K, PartspARTs by IMSEONOC, and LEYII. They each had their own section setup with a black box fixed with their logo, a flat screen on top looping their past fashion shows and history of the designer, three mannequins and a rack of their SS14 designs.